UD x Kristen Leanne Kaleidoscope Dream Eyeshadow Palette in the box. 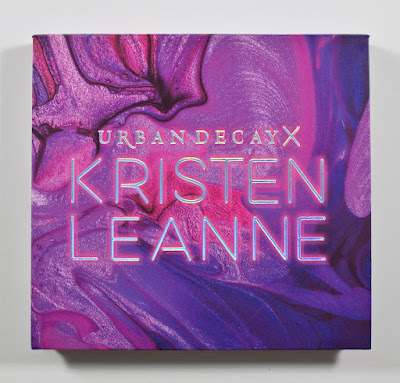 UD x Kristen Leanne Kaleidoscope Dream Eyeshadow Palette in box back side. UD x Kristen Leanne Kaleidoscope Dream Eyeshadow Palette lid. 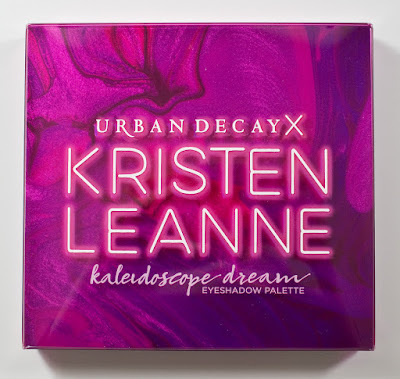 UD x Kristen Leanne Kaleidoscope Dream Eyeshadow Palette bottom. Dye, Corona, & 13th Floor. 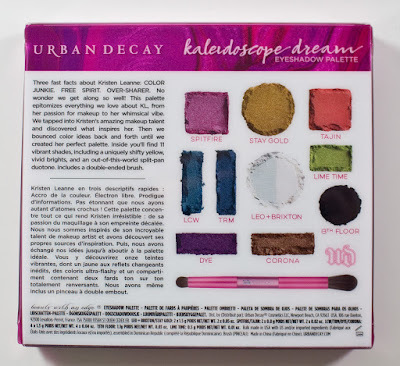 UD x Kristen Leanne Kaleidoscope Dream Eyeshadow Palette double-ended brush. LCW, TRM, Lime Time, Corona: Talc, Caprylic/Capric Triglyceride, Zinc Stearate, PTFE, Ethylene/Acrylic Acid Copolymer, Polyethylene Terephthalate, Calcium Aluminum Borosilicate, Calcium Sodium Borosilicate, Sodium Dehydroacetate, Phenoxyethanol, Synthetic Fluorphlogopite, Silica, Sorbic Acid, Alumina, Polyurethane-33, Tin Oxide, Acrylates Copolymer, Polybutylene Terephthalate, Polylactic Acid, Polymethyl Methacrylate, Stearic Acid, Calcium Stearate, Magnesium Stearate. May Contain (+/-): Mica, Titanium Dioxide (Ci 77891), Iron Oxides (Ci 77491, Ci 77492, Ci 77499), Manganese Violet (Ci 77742), Ultramarines (Ci 77007), Bismuth Oxychloride (Ci 77163), Carmine (Ci 75470), Bronze Powder (Ci 77400), Copper Powder (Ci 77400), Aluminum Powder (Ci 77000), Blue 1 Lake (Ci 42090), Chromium Oxide Greens (Ci 77288), Ferric Ferrocyanide (Ci 77510), Ferric Ammonium Ferrocyanide (Ci 77510), Yellow 5 Lake (Ci 19140), Yellow 5 (Ci 19140), Chromium Hydroxide Green (Ci 77289). Stay Gold: Talc, Ethylhexyl Palmitate, Alumina, Zinc Stearate, PTFE, Ethylene/Acrylic Acid Copolymer, Sodium Dehydroacetate, Phenoxyethanol, Silica, Sorbic Acid, Tin Oxide, Boron Nitride. May Contain (+/-): Mica, Titanium Dioxide (Ci 77891), Bronze Powder (Ci 77400), Blue 1 Lake (Ci 42090), Yellow 5 Lake (Ci 19140), Iron Oxides (Ci 77491, Ci 77492). Leo + Brixton: Oryza Sativa Extract/Rice Extract, Talc, Zinc Stearate, Silica, Calcium Sodium Borosilicate, Calcium Aluminum Borosilicate, Sodium Dehydroacetate, Phenoxyethanol, Sorbic Acid, Tin Oxide, Alumina, Stearic Acid. May Contain (+/-): Mica, Titanium Dioxide (Ci 77891), Iron Oxides (Ci 77491, Ci 77499), Aluminum Powder (Ci 77000), Bronze Powder (Ci 77400), Copper Powder (Ci 77400), Ferric Ferrocyanide (Ci 77510), Chromium Oxide Greens (Ci 77288), Blue 1 Lake (Ci 42090), Carmine (Ci 75470), Bismuth Oxychloride (Ci 77163), Yellow 5 Lake (Ci 19140). Spitfire, Dye: Dimethicone, Zinc Stearate, Talc, Sodium Dehydroacetate, Phenoxyethanol, Sorbic Acid, Ethylene/Acrylic Acid Copolymer, PTFE. May Contain (+/-): Mica, Titanium Dioxide (Ci 77891), Carmine (Ci 75470), Bismuth Oxychloride (Ci 77163), Ferric Ammonium Ferrocyanide (Ci 77510), Ferric Ferrocyanide (Ci 77510). 13th Floor: Talc, Silica, Boron Nitride, Zinc Stearate, Caprylic/Capric Triglyceride, Sodium Dehydroacetate, Phenoxyethanol, Sorbic Acid. May Contain (+/-): Iron Oxides (Ci 77499). Tajin: Talc, Caprylic/Capric Triglyceride, Zinc Stearate, PTFE, Ethylene/Acrylic Acid Copolymer, Polyethylene Terephthalate, Calcium Aluminum Borosilicate, Calcium Sodium Borosilicate, Sodium Dehydroacetate, Phenoxyethanol, Synthetic Fluorphlogopite, Silica, Sorbic Acid, Alumina, Polyurethane-33, Tin Oxide, Acrylates Copolymer, Polybutylene Terephthalate, Polylactic Acid, Polymethyl Methacrylate, Stearic Acid, Calcium Stearate, Magnesium Stearate. May Contain (+/-): Mica, Titanium Dioxide (Ci 77891), Iron Oxides (Ci 77491, Ci 77492, Ci 77499), Manganese Violet (Ci 77742), Ultramarines (Ci 77007), Bismuth Oxychloride (Ci 77163), Carmine (Ci 75470), Bronze Powder (Ci 77400), Copper Powder (Ci 77400), Aluminum Powder (Ci 77000), Blue 1 Lake (Ci 42090), Chromium Oxide Greens (Ci 77288), Ferric Ferrocyanide (Ci 77510), Ferric Ammonium Ferrocyanide (Ci 77510), Yellow 5 Lake (Ci 19140), Yellow 5 (Ci 19140), Chromium Hydroxide Green (Ci 77289). The Metallic/shimmer shades do pack a punch regarding pigmentation, and the texture is buttery which allows you to sheer out nicely id needed but also intense enough to last on the skin. The two Matte shades in 13th Floor and Tajin are very pigmented and smooth once you get past the top pressed layer but even that layer is only a little bit powdery. 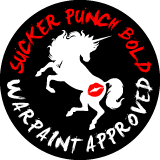 Spitfire is a bright pink magenta with a with a cool tone purple shimmer finish. 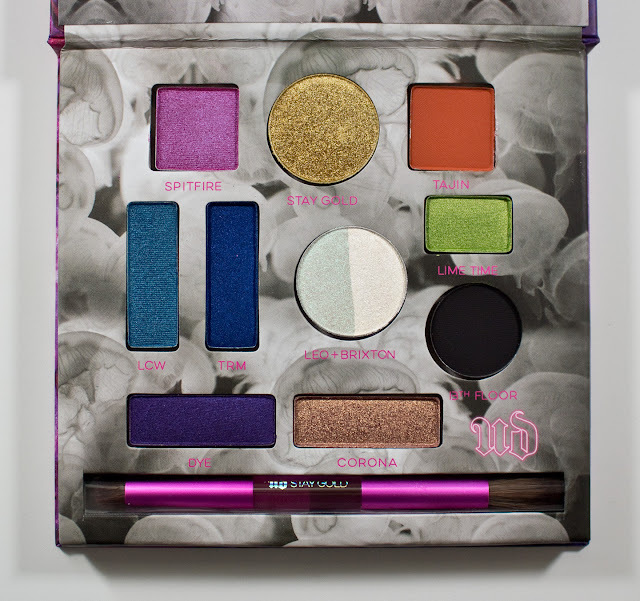 This shades reminded me of Urban Decay Asphyxia shades in eyeshadows and the eyeliner formula but with a stronger purple base. Stay Gold is a yellow gold with a metallic finish. Tajin is a warm orange with a matte finish. LCW is a rich blue that is borderline teal with a shimmer finish. TRM is a deep vibrant navy blue with a shimmer finish. Leo (left side of pan) is a sheer green with an aura finish. Brixton (right side of pan) is a pale white green with a pink shift aura finish. Lime Time neon green that is almost chartreuse with a shimmer finish. Dye is a rich violet satin with a shimmer finish. Corona is a pale copper gold with a metallic finish. 13th Floor is a true black matte with a matte finish. Wear: Most I get about 7 hours of wear without a base. 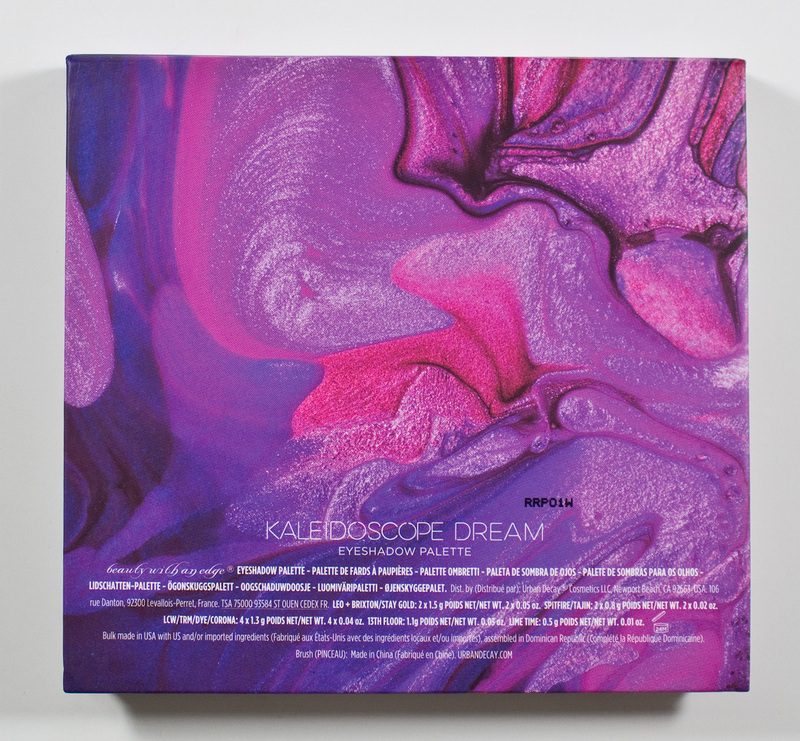 Packaging: The palette is a cardboard laminated box with a mirror in the lid and a well for the brush to sit in. The cardboard makes it easier to pry out the eyeshadows for depotting if you want to. The double-ended brush on one end a small dome smudger side and fluffy blending side that are made of soft synthetic bristles. Daylight swatches: Spitfire, Stay Gold, Tajin, LCW, TRM, Leo (left side of pan), Brixton (right side of pan), Lime Time, Dye, Corona, & 13th Floor. Flash swatches: Spitfire, Stay Gold, Tajin, LCW, TRM, Leo (left side of pan), Brixton (right side of pan), Lime Time, Dye, Corona, & 13th Floor. This was another palette I put on my wishlist for sale. 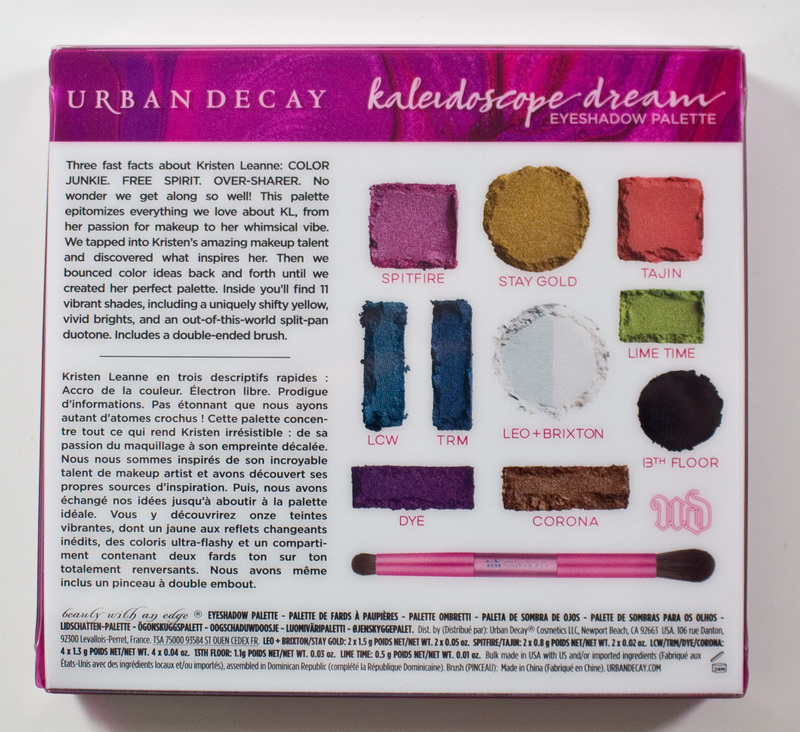 All the shades are perfect which is hard to get in any palette but I help that Urban Decay knows how to formulate shimmer eyeshadows. but the two matte shades are perfect as well once you get past the first thin layer are it read drier in texture due to the pressing. You might not need bright colours but these are shades I don't have outside of the Coastal Scents 252 palette for the most part.